In order to accomplish this, the robot must be able to balance robustly in challenging terrains, like stairs, industrial ladders, or debris. In order to gain more robustness, the robot can use multiple contacts (not only the feet but also the hands) to support itself. Legged walking machines allow the climbing of stairs and stepping over small obstacles. The robot's two legs allow it to sand stable and walk dynamically with a small support area. 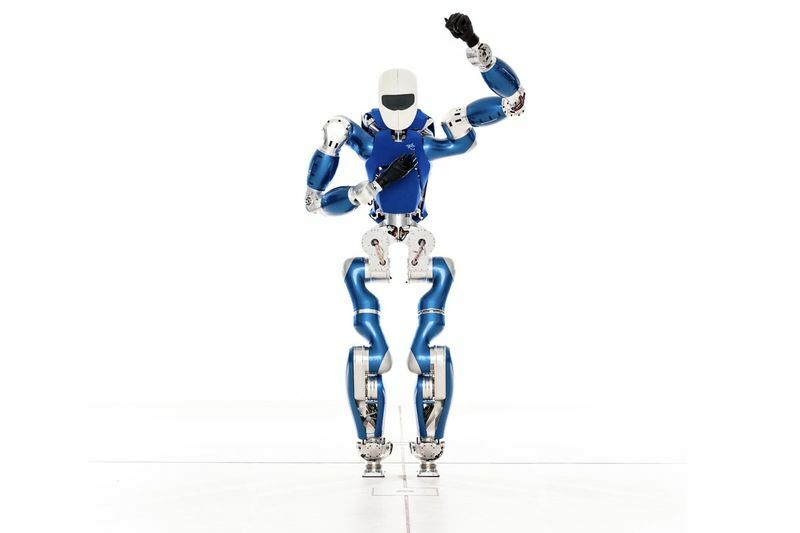 The video below contains several experiments with the humanoid robot TORO developed by DLR, which demonstrates the performance and robustness of a passivity-based balancing controller utilising multiple contacts. The robot creates a passive and compliant behaviour for regulating the centre of mass location, hip orientation and the poses of each and effector assigned to the interaction task. TORO will mainly be used for research control oriented problems related to whole-body dynamics, and the robot features simple but powerful prosthetic hands. These hands allow for robust interaction with the environment but would be limited in terms of dexterous manipulation. TORO weighs up to 75kg and a height of about 160cm, you can see more about the humanoid in the video below.